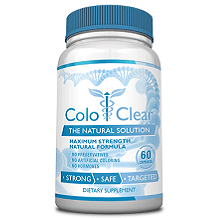 In this review, we discuss the ColoClear Natural Colon Cleansing supplement. This supplement is a great way to help clean the colon in a safe and effective way. It also helps digestion and promotes a healthy daily bowel movement. If you are interested in this digestive colon cleaning product, then read our full review below. Psyllium Husk – this contains a large amount of soluble fiber that helps push out toxins out of the body. Papaya Leaf – Papaya leaf is known for containing essential vitamins like A, B, C and E which help strengthen intestinal tract health and is a good source for antioxidants. Mangosteen – studies have shown that this fruit contains antioxidants, anti-inflammatory and anti-bacterial properties. Black Walnut Leaves – extracts from this plant used as an astringent and is known to eliminate parasites within the body. Glucomannan – this ingredient is mostly used to treat constipation due to its high soluble fiber content. Oat Bran – this is another ingredient that holds a large percent of soluble fibers. Apple Pectin – it is known to contain high levels of fiber and helps maintain proper daily bowel movement. Flax Seed Powder – flax seed powder can reduce inflammation and even speed up your metabolism for quicker digestion. Bentonite Clay – this is a detoxifying agent that removes harmful toxins from the body. L – Acidophilus – this is an antibacterial compound that protects the digestive tract from bacteria. Aloe Vera – it is used as a mild laxative and can also help detoxify the blood. Prune – prune is also a known mild laxative that is also rich in antioxidant properties. The dosage for this supplement varies depending on whether you are going to take it regularly or only when you are experiencing constipation. For those who are planning on taking this as a daily supplement it is recommended that you limit the dosage to two capsules per day. One in the morning and another in the afternoon. If you are instead planning on using it occasionally and only during days when you are experience constipation, then you should ideally take two capsules three times during the day. Take two in the morning, another at lunchtime and finally two more before dinner. This product contains all natural ingredients which are viewed as relatively safe to use. However, caution must always be taken whenever you are trying out any new form of medication or dietary supplement. Check with your doctor first to find out if this product is safe for you to use. ColoClear is priced at $49.95 per bottle. The official website also offers monthly supply packages with great discounts. They offer a Beginner’s Package that includes two bottles for $69.90, a Moderate Package that has three bottles priced at $95.85, an Advanced Package which has four bottles for $111.80, the Progressive Package with five bottles at $124.75 and their Top Selling Package which includes six bottles for a total of $139.80. 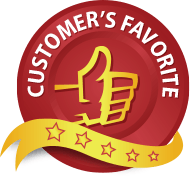 The product comes with a 60 day money back guarantee that you can take advantage of if you do not find the results of this supplement to your satisfaction. You can also return any opened and unopened bottles, so long as it is still well within the one month guarantee. All in all, ColoClear Natural Colon Cleansing Supplement is a fine option to take for those who are constantly having digestive issues such as irregular bowel movement and constipation. While it can be a bit expensive, you can get around this by purchasing one of the various monthly packages which offer the bottles at discounted prices. This is one of the most effective and fast acting constipation relief supplements available today and it is also relatively safe.